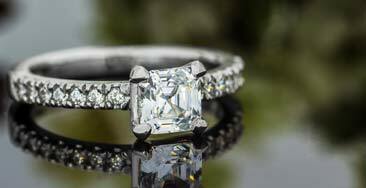 Green Lake Jewelry Works crafts custom designed engagement rings, wedding bands, and other jewelry on site. 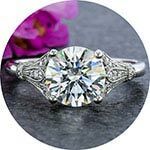 We create new designs every day for hundreds of people a month all around the United States and beyond; you can feel confident designing your ring with us. In 2012 and again in 2017 Green Lake Jewelry Works was named one of the ‘Coolest Stores in America’ by INSTORE magazine. 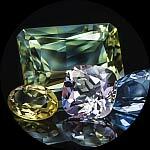 The designers, CAD modelers, gemstone cutters, wax carvers, metalsmiths, stonesetters and hand engravers all working directly with our costomers. Drawing on a diverse mix of talents and expertise, the Green Lake workshop crafts every piece from start to finish onsite. 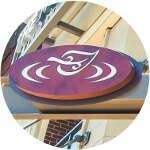 We are super picky about the details and cost effective at the same time. 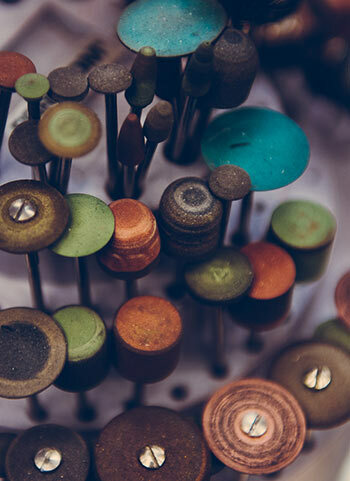 Green Lake’s artists come to Seattle from across the country and around the world with formal training in gemology, jewelry making, metal sculpture, or industrial design. The opportunity to work on something new and challenging every day is what draws some of the most talented individuals in the industry. 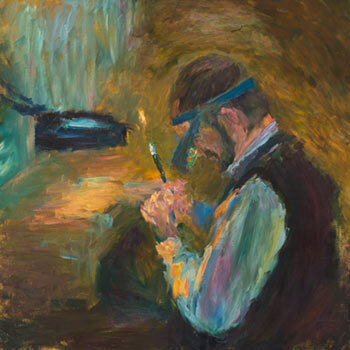 By apprenticing under master craftsmen, each new artist gains a balanced understanding of old world techniques as well as state of the art approaches. 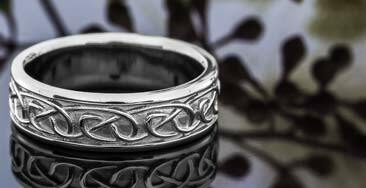 We don’t just sell rings; we make them Here. In fact, when our entire job is to help you discover exactly what you want and then go make it for you, there’s really no need to 'sell'. Our aim is to create & inspire you, with as much - or as little - help as you need. 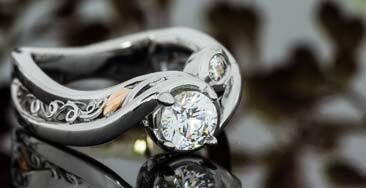 With a mix of innovative jewelry designers & experienced bench artists, we are passionate about great design. 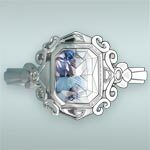 Our staff artists have hundreds of years of combined experience at designing and making fine jewelry, and it shows in our craftsmanship and attention to detail. Look Through Our Galleries and See the results! 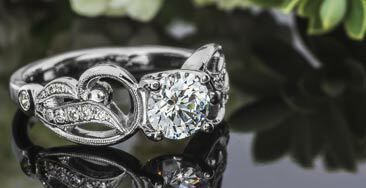 From thousands of searchable and original ring designs to all the ways Green Lake approaches fine jewelry differently, we strive to make the custom ring experience as uncomplicated as possible. We make getting a unique engagement ring fun! 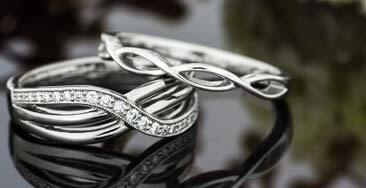 After all, rings are something intended to last a lifetime. That’s why we work very hard to ensure your design experience is fun and stress free. 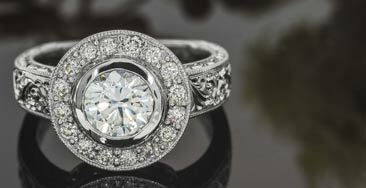 We specialize in unique, one of a kind engagement rings and wedding bands. New designs are created here every day – that’s how we maintain the largest and most diverse portfolios of custom jewelry in the country. While most jewelers carry pieces ordered from a wholesale catalogue or outsource their ‘custom’ fabrication, Green Lake starts from scratch. Everything we sell is handcrafted right here in our studios with our own hands. 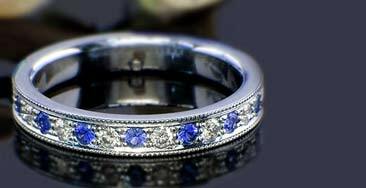 When rings are made one at a time at the jeweler’s bench, instead of on the production line, they are imbued with exclusivity and distinguished with personality. We don’t copy other designer’s work (as a matter of fact, we rarely even remake our own designs). 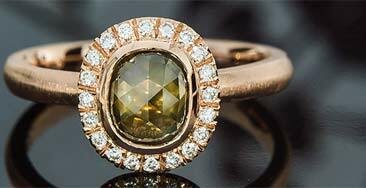 Green Lake Jewelry Works maintains a state of the art workshop where each of our stone setters, hand engravers and filigree artists have a personal bench microscope for the finest detailed work. Our casting equipment melts the metal electrically, under partial vacuum and an inert argon cover gas to protect against oxidation and microporosity. 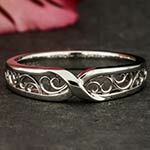 This means it creates amazingly dense, detailed castings. Our shop has everything, from computereized milling machines, to several 3D printers and growers to create the right type of model for every cast piece. 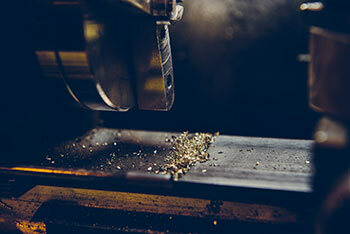 We combine these modern tools with the time tested techniques of hand crafting fine jewelry one piece at a time. 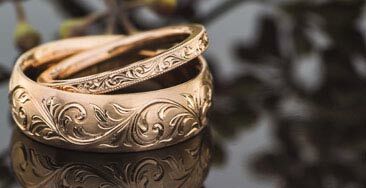 From hand forged fine wire filigree details to hand engraved patterns we use all the best of modern and traditional jewelry making techniques. 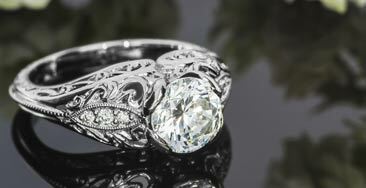 In addition to computer generated images, we show thousands of hi-res photos of our jewelry. It's easy to see the detail and craftsmanship of our work, so you can rest assured what you see is exactly what you’ll get. We are VERY picky! 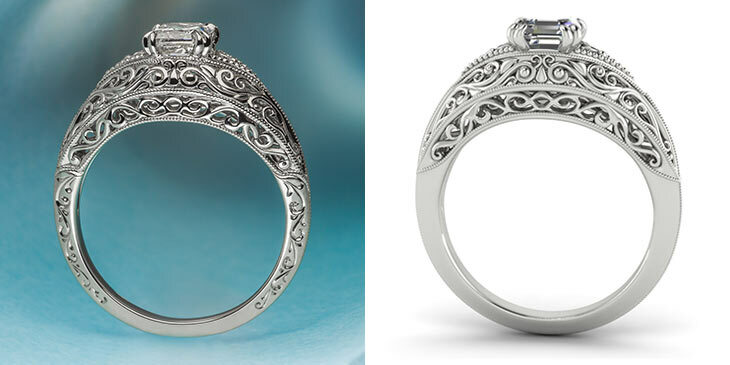 As a company renowned for its pioneering use of CAD/CAM technologies within jewelry, With a world class CAD team in our studios, Green Lake’s artists regularly win national awards for their skill and innovative design solutions. Make no mistake, we are CAD aficionados, and renderings play a big part in developing custom designs. 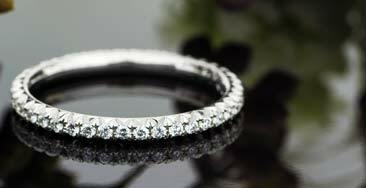 However, we believe you’re entitled to see more than what a ring ‘could’ be – we show you how beautiful they really are! 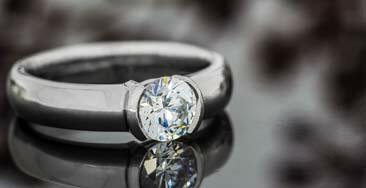 It's often assumed that custom jewelry costs more than mass produced. However, by doing all our work in-house and selling direct to our clients, our bespoke custom pieces are often less expensive that branded designer lines. 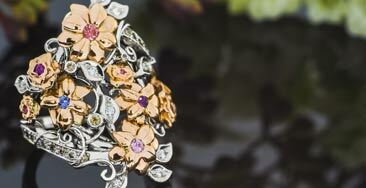 Most fine jewelry is designed in one place, cast in another, then sent to a 3rd or even 4th location to be finished. That’s a lot of middlemen! 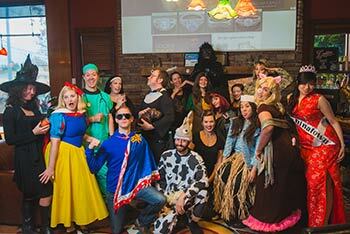 With all our work done onsite in our Seattle studios, we keep our costs down and pass the savings to our clients. 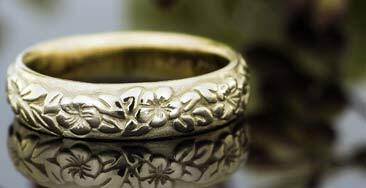 Our rings are created in solid noble metals; we don’t plate cheap materials with razor thin layers of gold or rhodium and pass it off to our clients as something of superior value. 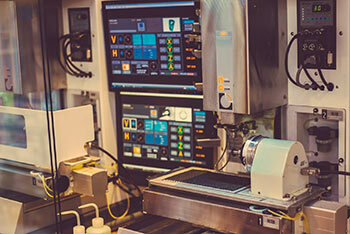 Simply put, the plating will eventually wear off – as will the trust our clients place in us. 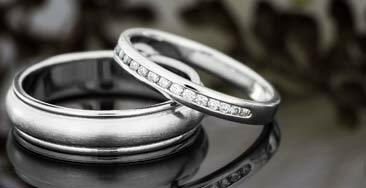 Instead, we employ smarter alloys to make solid gold and platinum jewelry that will look as good on your 50th wedding anniversary as it did the day you bought it. 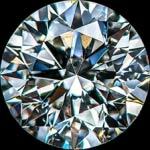 Most 'designers' and 'jewelers' outsource much or all of their production. 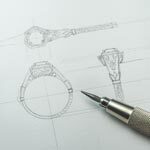 As the makers, we nuance each design beginning with the sketch and during each step of the process -we wouldn’t dream of having someone else start or finish a piece with our name on it. 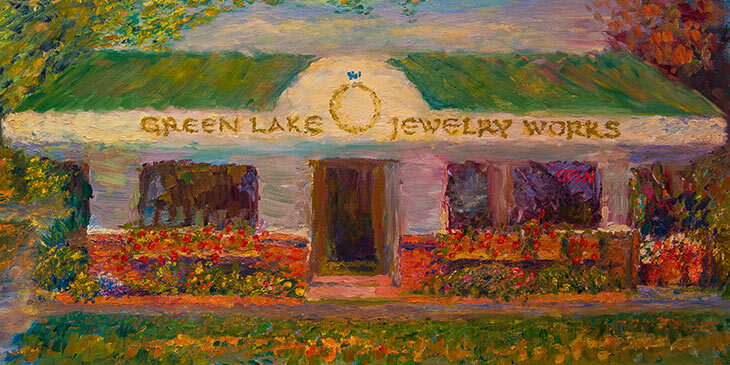 The fact is, it’s increasingly rare to interact with a jeweler like Green Lake. 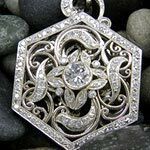 The old world skills of hand made fine wire filigree & hand engraving have increasingly been replaced by more 'efficient' modern techniques, yet hand done work is obvious and cannot be matched by cast in place substitutes. 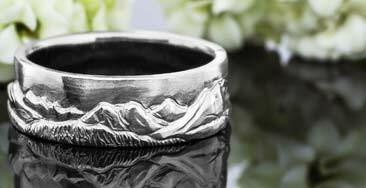 Each of our rings are the product of not one, but many artists working together. Our process is very transparent. You and your designer work directly with the entire team, from sketch to final polish. Working with artists and craftsmen directly is the best way to nuance all elements of your design and ensure the absolute best quality. Many learn of Green Lake from a friend, and really who better to trust? 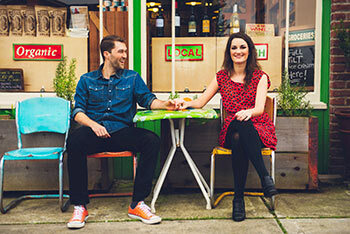 Even if you’re not a local client here in the Seattle area, you can easily find recommendations from other satisfied customers from the engagement stories we share on our blog or the reviews folks share on other sites. Knowing we’ve done a good job is a big source of pride for us in the workshop and we love reading customer reviews. It was in a tiny wedge of space along Seattle’s Green Lake Drive where the store originally opened in 1996. 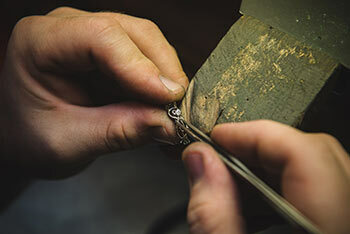 Founded by veteran jeweler and metalmith Jim Tuttle, Green Lake Jewelry Works started out as a one man shop, but didn't stay that way for long. As more artists joined us, they too moved between the bench and display case to meet with customers. At Green Lake, the artists are in the forefront. Green Lake isn’t a typical jewelry store. 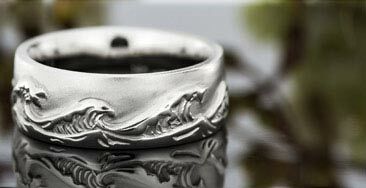 We don’t just sell rings, we make them. 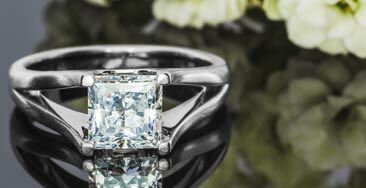 There’s no sterile lighting, hovering salespeople, or overseas production; instead, designers, jewelers, and craftsmen work with custom ring clients directly, from start to finish. Today there are over 50 artists at Green Lake, each bringing with them their own experience, insight, and skill. 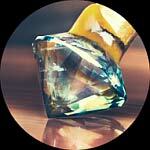 Added up, that’s over 400 years of combined experience in crafting fine jewelry – all in the same open workshop. 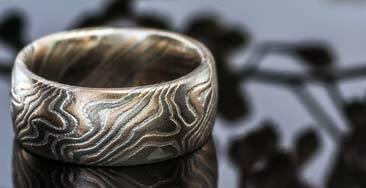 Green Lake Jewelry Works approaches the sale of a ring with artistry, experience, and consideration of what’s best for our clients. 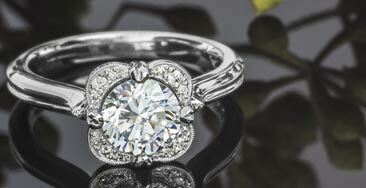 It’s why year after year, Seattle Bride recognizes our studio for the best wedding and engagement rings, INSTORE Magazine named us as a Cool Store in 2012 & 2017, and our customers recommend us to their family and friends when it comes time to pop the big question.